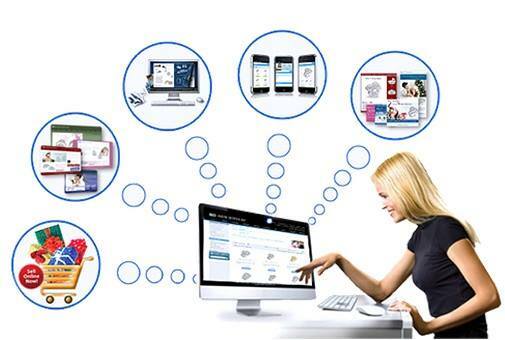 In this era as all of us know what e-commerce is and what are the advantages we can get from e-commerce. Now we will also learn how we can build e-commerce business. If it’s not a difficult task even than we cannot say that it’s so easy. Before starting any electronic business one has to check few steps and deeply go through those. First of all we should find the products to sell. This is the most challenging task to find the right and best products for your business which can give the benefits to you. After selecting lets evaluate those products. How can we evaluate? It’s the biggest question that can come in your mind. It’s not too difficult to evaluate by yourself. Check the different e-commerce websites related to your product especially in your own country. Try to choose the unique and catchy products with competent prices. Next task is from where you can obtain your selected product in cheapest price with best quality. For that make a list of suppliers and manufacturers. Select the ones offering best price. Now it’s the time to research your competition. Research and check that how many competitors already are there and at what are they offering to the buyers. Now you are ready to prepare you offer prices. After all of the above important tasks you are ready to write your business plans. A best business plan should be so catchy that it will work like a road map that can force the customers to come and visit the website. There is another important and difficult decision to name your business and create a best logo. Your website or business name should be catchy, short and easy to pronounce, so that it can promote easily by person to person. The logo is as important as the name because that will work like a face. While preparing the logo for your website keeps few points in your mind. The logo should be simple, memorable, enduring and versatile. The logo must leave a good effect on visitors mind. After all the difficult and important decisions, it’s time to register your website or business. Before entering product it’s a good idea to promote your website with “coming soon” page so those who are interested can sign up to get updates. After all the procedures, now your website is ready to build your store or showroom. It’s time to prepare the description and qualities of your available products. That product description will help you to sell your product. The best product description is that can bring a huge crowd of buyers. Mention is description why is it important for the buyers. Now your products are ready to enter in your store and to show thousands of buyers. After the above discussion, we have the conclusion that Building an e-commerce business is not an easy task. All of the provided details will definitely give you help to build a profitable e-commerce business.